Atreyu are hosting, curating, and headlining the first-ever Foundation Fest, a weekend of shows. Foundation Fest will be held at The Observatory in Santa, Ana, California ahead of the Christmas holidays. The shows are scheduled to take place on Friday, December 16 and Saturday, December 17. 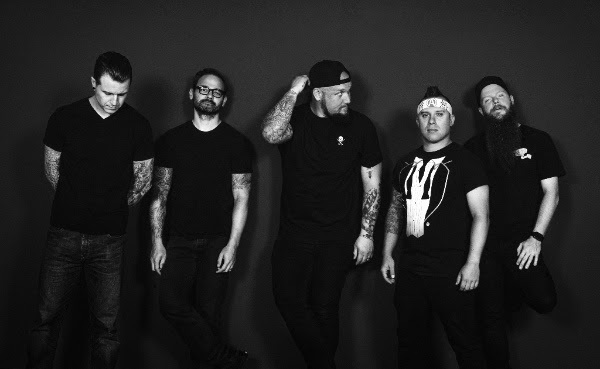 Atreyu will headline both nights, with special guests on each bill. On Friday evening, Atreyu will play a special set featuring their A Death Grip on Yesterday album, celebrating the record's 10-year anniversary. Atreyu plan for Foundation Fest to be an annual occurrence. 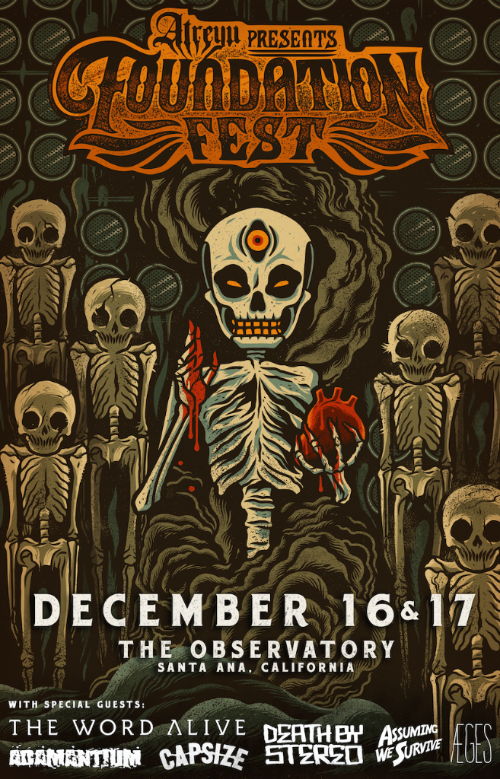 "Foundation Fest is a way for us to have some hometown fun around the holidays and put together a lineup that showcases some of our favorite Orange County bands, as well as some great acts from around the globe," said Atreyu guitarist Dan Jacobs. "We're really looking forward to its debut year, as well as many more to come." Drummer Brandon Saller said, "The mix of old and new has us really excited. Having Adamantium reunite with original members to play songs off of From the Depths of Depression, an album we grew up singing along to, as well asDeath by Stereo, who we've listened to since high school, is amazing. Juxtaposed with some of the heavy music scenes best up and comers The Word Alive, Assuming We Survive, Capsize, and Aeges, this is going to be a great event for music fans of all ages." The lineup for each show is below. Tickets for Foundation Fest go on sale on Friday, September 30 at 1 p.m. ET/10 a.m. PT.